We aim to deliver in 10 – 12 weeks from time of placing your order. 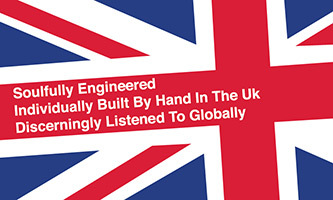 Please bear in mind each mixer is built to order by hand, we cannot gaurantee a finite delivery date but we do aim to deliver ASAP. 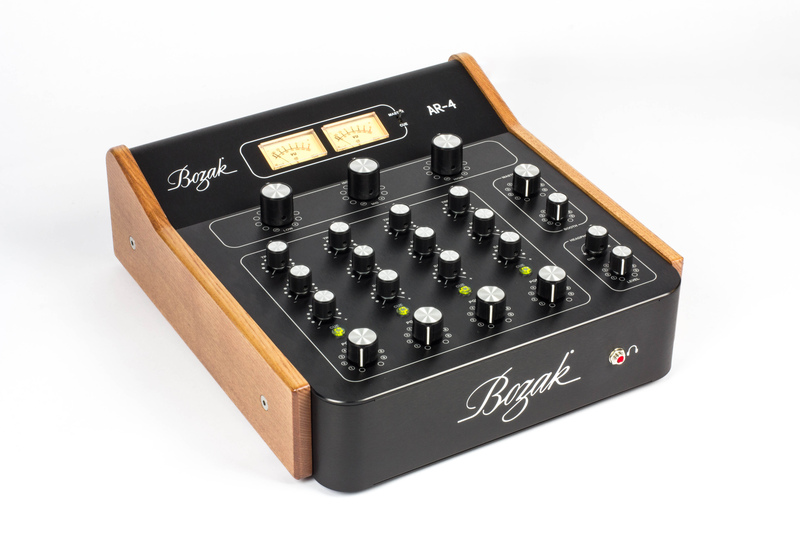 The all new hybrid design is utilising the best of the original Bozak CMA-10 discrete circuits in conjunction with the highest quality semiconductor topology culminating in the most expansive sound while constantly striving to improve the original Bozak sound. 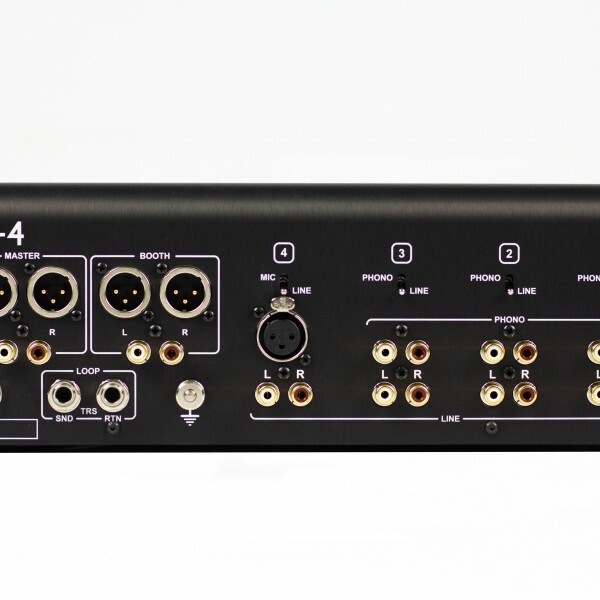 The intuitive layout of the AR-4 makes it easy for you to instinctively know where the controls are and we purposely have given plenty of room around the controls so you can wrap your hands around the controls rather than having to use your finger tips. 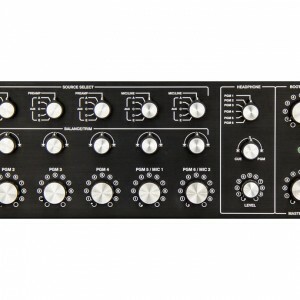 No visible screw heads on the control surface or sharp corners allow you to enjoy the mixer rather than having to worry about where you put your hands and the angled VU meters allows you to monitor the levels without even thinking about it. The hardwood side trims are removable for those who want a more workhorse look to the AR-4. 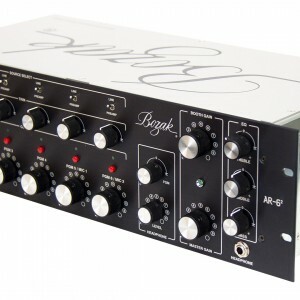 As with all Bozak products the AR-4 knobs are custom tooled for us in three sizes with gentle flutes for the perfect amount of grip and the aluminium inlay finishes of the Bozak styling. 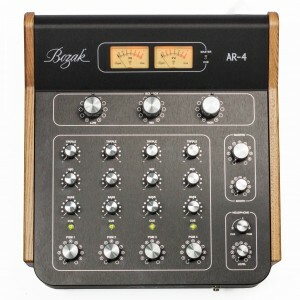 The Bozak AR-4 is based on the classic rotary mixer with its heritage taken from the mixers of the 70’s. 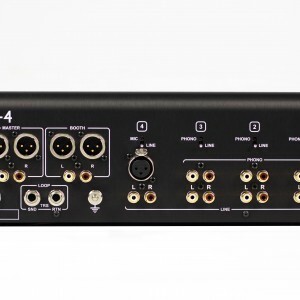 Updated to give the flexibility to today’s DJ requirements, the AR-4, as with all Bozak products, has been designed first and foremost for unsurpassed sound and superior build quality. 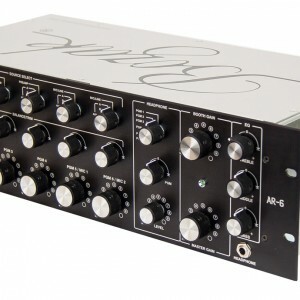 The AR-4 has been designed to sit perfectly between a pair of SL1200s or CDJs with the angled VU meters giving you perfect visual metering. 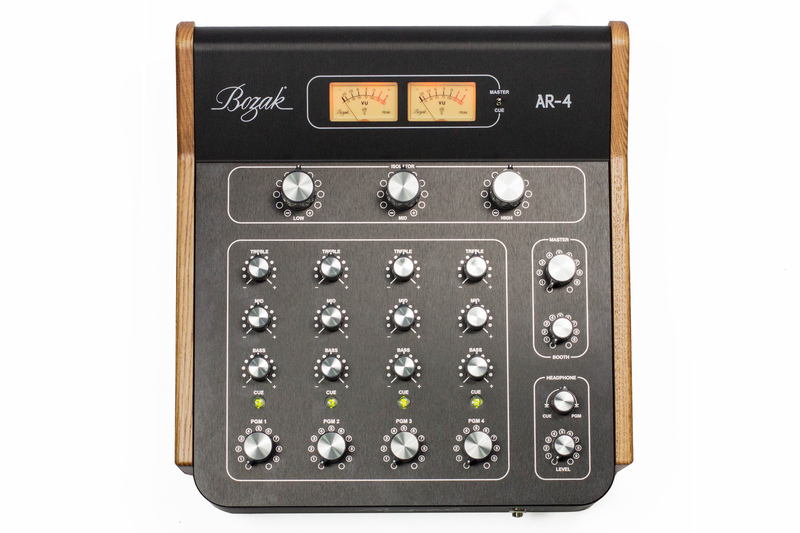 3-band stereo Isolators gives perfect overall tonal control of the mix. Its cross-over points having been carefully selected to yield a most natural sound and to emphasise the artistry in the musical production. 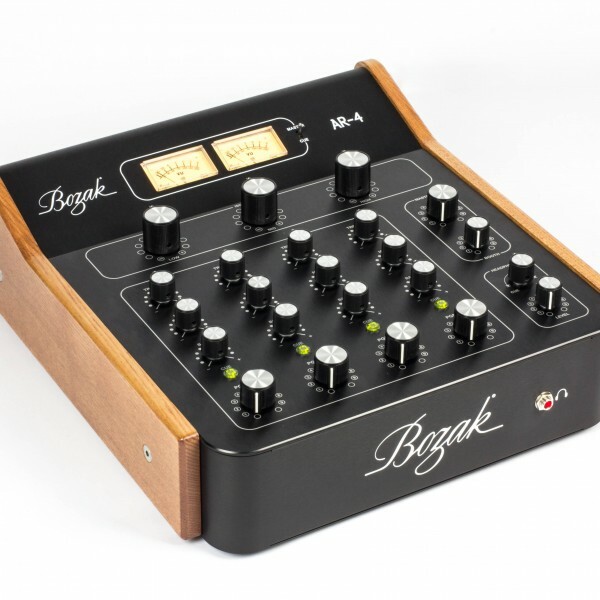 The Bozak’s frequency dividing technology provides superior dynamic response making the control smooth and the individual tone control allows the user to EQ beats, vocals and the high hats. 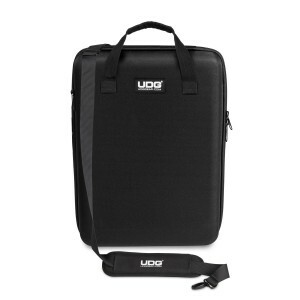 The flexible headphone section gives the DJ control over the cue and mix blend you hear in the headphones. The backlit push switches give a bright green indication of the channels selected. 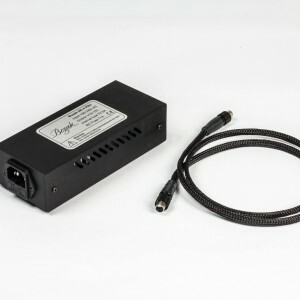 The clear, warm and super loud headphone output with a mix control allows the DJ to pan between the Cue or Program output or a mix anywhere in-between. The Headphone jack is backlit to allow you to find the socket in the dark DJ booth. 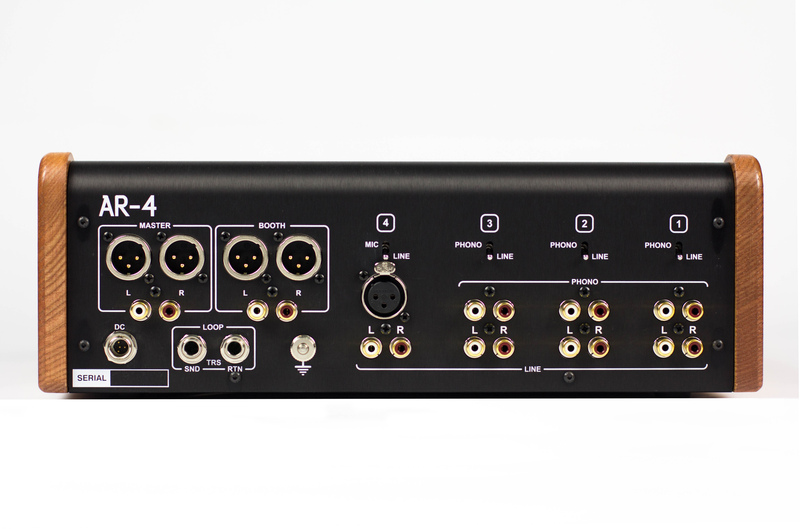 Dedicated Master and Booth gain controls gives you total control over the mix with flexible stereo balanced or unbalanced options as well as dual VU meters that can be switched between master and cue. 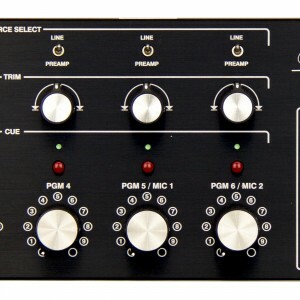 The loop control allows the DJ to add their choice of effects or processing to the master output. Fitted with ALPS RK27 Blue Velvet pots, carbon resistors, polyester mylar capacitors and ultra low noise hi-fi grade worldwide custom power supply, all culminating in Bozak’s signature rich warm sound now in a desk top format. 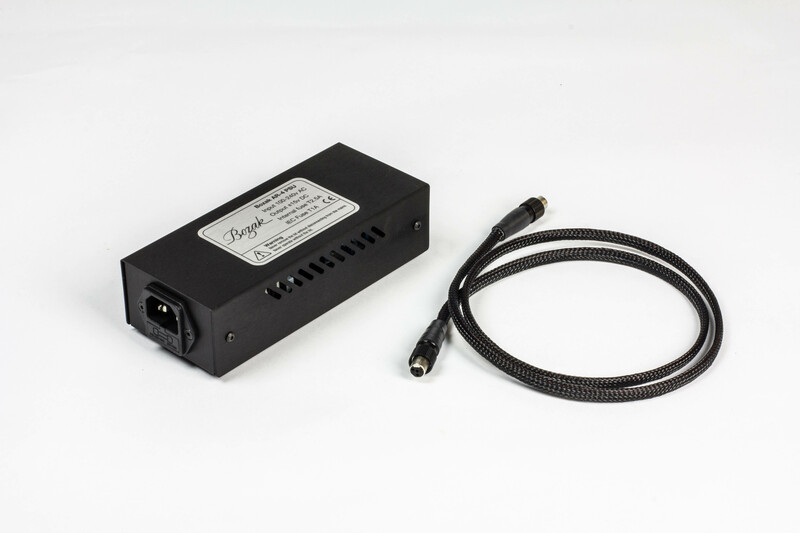 Custom audio grade worldwide universal external power supply.